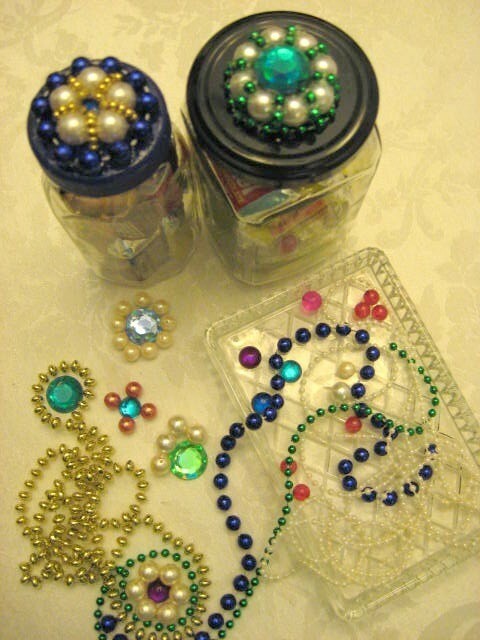 Add pretty beads to the lid of a jar and create an lovely gift jar. 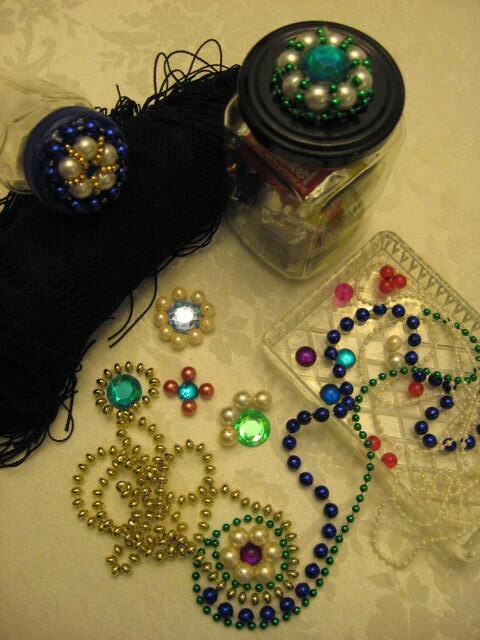 This is a guide about beaded lid upcycled gift jars. 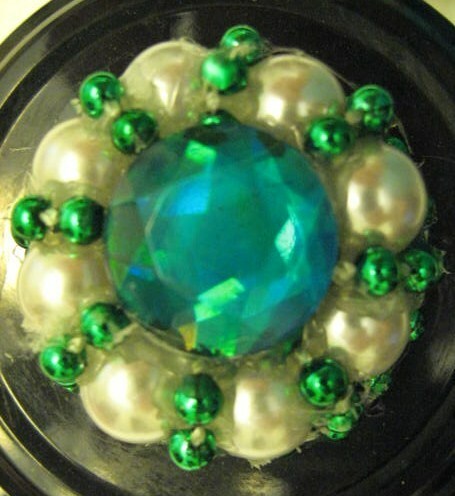 Add a little bling to your lids by making a "motif". 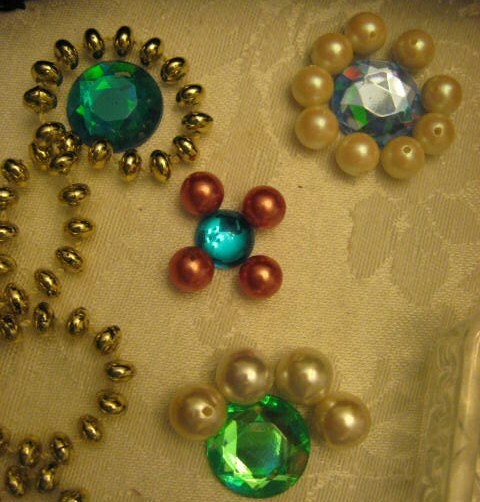 Hot glue a pretty "jewel" right in the center, then start gluing your string, or loose beads, around it, then add another string of beads for the outer edge, let dry, and that is it. 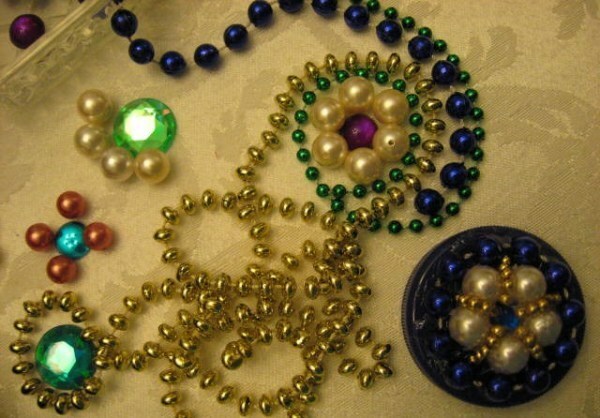 Fill the jar with candy, or whatever you wish to give your fav someone. 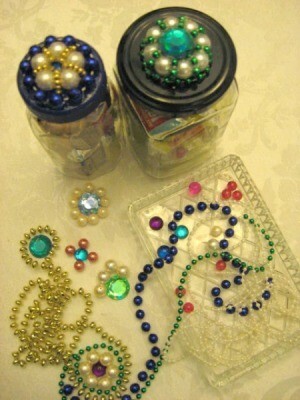 They will even have 2 gifts in one and can use the gift jar for storing something else in later on.